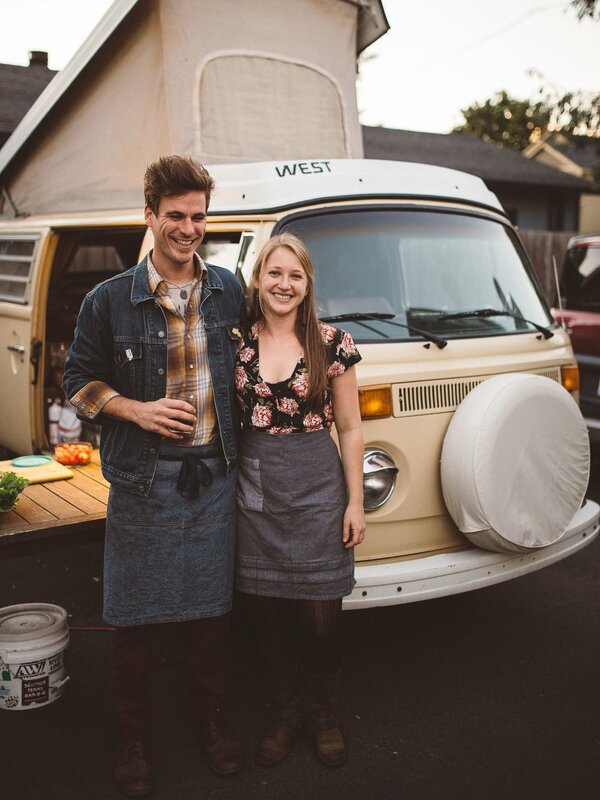 Seeing a separation between their two passions—food and live music—Kaela and Austin filled the void. Merging the incredible food and music scenes of Portland, Serenade provides intimate live concerts paired with communal meals to foster community and connections amongst their guests. Serenade your senses with local wine, three-part harmonies and by digging into a meal. This is a place to get your hands dirty, interact with friends, experience a new band and create lasting memories. Kaela Fox grew up rafting rivers and eating outdoors in the company of friends and family. Instruments were a staple on river trips and her earliest memories involve eagerly stuffing herself to the sounds of a jam session. That passion for food has followed her whether cooking for 30 on multi-day river trips, catering private events, or simply creating with the items grown in her garden. Austin Quattlebaum grew up in his father's restaurant, sneaking handfuls of french fries and sodas. The son of a Savannah, GA restaurateur, Austin is no stranger to kitchen life and feeding the masses. On the West Coast he found music, building a successful band and a solo career for himself.